I love seeing mosaic designs. 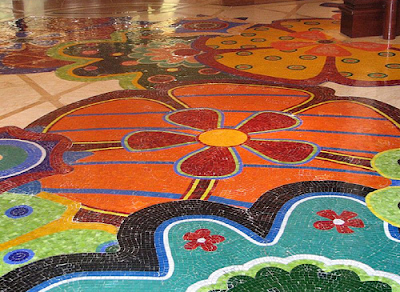 The Wynn Las Vegas has an amazing mosaic floor throughout the hotel that is always inspiring (bottom pic). 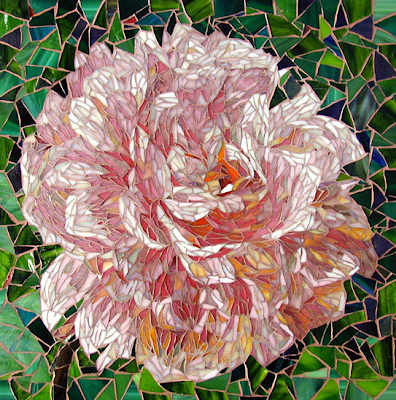 I recently discovered mosaic artist Yulia Hanansen. I love love love her peony piece (top pic)! See her work here. 1 Response to "YULIA HANANSEN MOSAIC STUDIO"